For the first time students from the MA Textile Futures programme at Central Saint Martins College of Art and Design will be showcasing their work at Ventura Lambrate, an independent event taking place during Milan Design Week and featuring 45 creative exhibitions from all over the world. The Textile Futures exhibition introduces the work of this year’s graduating students ranging from projects exploring science and the possibility of creating materials that are grown and not made to issues such as emotional resonance, transience, indigenous craft and traditional techniques, future manufacturing processes and three dimensional textile forms. The Milan exhibition acts as a prelude to the students final degree show to be held in London in June and invites visitors to discuss and debate the issues raised. Each project is framed by a research question and the design pieces encourage viewers to discuss and question the students discovering the rich concepts and research behind their work. Senior Lecturer Caroline Till highlights how this is an opportunity for the course to build its international reputation while bringing something different to the design week. Dazed Digital: What’s the main aim of the MA Textile Futures? Caroline Till: We hope to nurture imaginative, resourceful designers who have the potential to shift existing design boundaries, re-shape how we live, and create the textiles of tomorrow. The course ethos is to approach textile design as a form of industrial design but with a focus on the language and codes inherent to textiles. By exploring key contextual questions to interrogate, critique and propose new design concepts, we invite our designers to engage fully with the challenges of designing for the 21st century. The students are encouraged to form a personal definition of ‘Textile Futures’, analysing the wider context of their work as well as their role as designers. 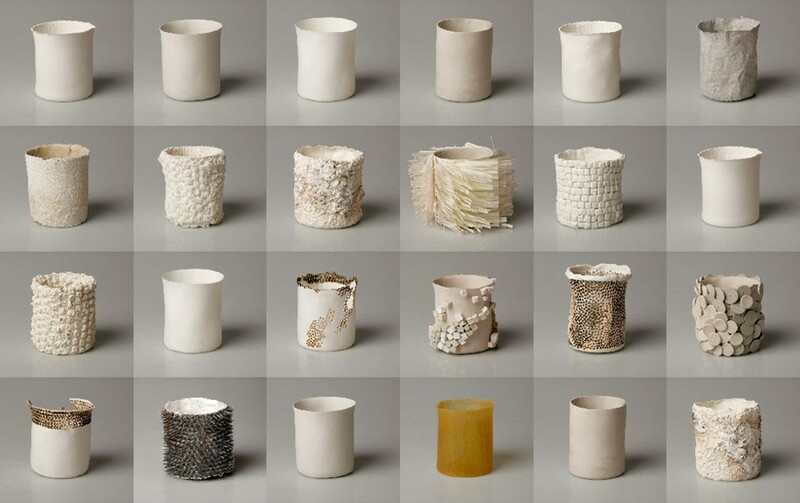 For example, Natsai Chieza adopts the role of a design provocateur, exploring the cultural and environmental implications of synthetic biology and stem cell research, while Hao-Ni Tsai looks at reviving indigenous Taiwanese textile craft techniques. DD: In which ways will the showcase during the Ventura Lambrate event engage the visitors and inspire interior/fashion designers? Caroline Till: Practice-led, the course initiates and encourages design research and innovation in relation to issues affecting the textile design discipline in the short, medium, and long-term sustainable future(s). Our curriculum is based around an evolving set of research questions based on five key themes: Smart, Invisible, Sustainable, Ethical and Poetic. Students will hopefully have gained tools and understanding to look outward, consider how wider contextual observations can translate into creative design proposals and consider sustainability in new ways. Therefore each project presented in Milan poses questions, rather than providing answers, encouraging discussion and debate around current and emerging issues. DD: Quite a few students looked at textiles in connection with scientific researches: in your opinion will science have a stimulating role in the future of creative disciplines? Caroline Till: Crossover with other design disciplines as well as with science and socio-economics are more pertinent than ever. Rapid changes in culture, economics and technology need dynamic designers who can propose and realise intelligent, responsible innovations with strategic thought, leadership and personal vision. Some of the themes we interrogate include: how do we reconcile ecology and smart technology? With current progress in nanotechnologies, how do we engineer invisible functions with new aesthetics? How can biomimicry principles inform the design of resilient textiles? Will scientists become designers? In the spirit of designing for a resilient future, issues of production, waste and post-consumption drastically change potential design processes and outputs. Building on these themes, the key intention of this project is to give students new tools to research and filter wider socio-cultural, environmental, economic and political factors leading to a sophisticated contextual approach to their work. DD: Can you introduce us some of the most recent research projects carried out in the context of the Textile Futures course? Caroline Till: Our core Academic Team consists of three key members, our course director Carole Collet, Kate Goldsworthy and I. We are all part time since we are involved in research and professional activities and we are also part of the Textile Futures Research Centre, comprising researchers across Chelsea College of Art and Design, Central Saint Martins College of Art and Design and the London College of Fashion. I feel extremely lucky to work within an environment producing pioneering research and design work: for example Research Fellow Suzanne Lee whose project ‘Bio Couture’ looks at growing textiles from bacterial-cellulose, aiming to harness nature to address sustainable issues, and Kate Goldsworthy whose work looks at laser techniques to upcycle and pattern synthetic materials, making textile products less complex in their material ‘make-up’ to ensure a clear path for recycling.